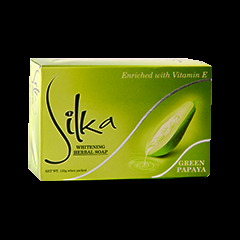 Silka is a beauty and skincare brand. Since its inception in 2001, Silka has been creating superior line of affordable and effective products that help consumers achieve lighter complexion and smoother skin naturally. Papaya contains papaya enzyme which helps in skin renewal and cell turnover. It exfoliates skin the skin revealing whiter, softer and smoother skin. Silka Premium Whitening Bodywash whitens your skin without drying it. In choosing deodorants, get one that gives you not only odor and wetness protection but whitens your underarms too. 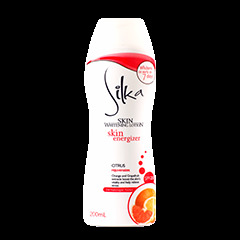 Silka's wide range of deodorants help prevent underarm darkening. 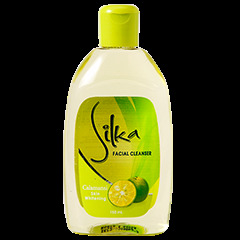 Silka Facial Cleanser prevents build-up of pimple causing bacteria and clears skin from blemishes. Formulated with natural whitening properties and Beta Hydroxy Acid (BHA). 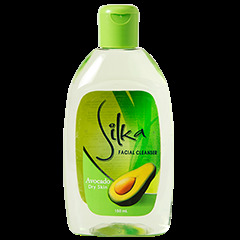 Silka Facial Cleanser also whitens the skin and refines pores. Silka Papaya Whitening Pearl Cream is formulated with Papaya enzyme that whitens, Vitamin B3 that eliminates blemishes and Vitamin E that maintains skin's proper moisture, giving you a white blemish-free skin. Get visibly fairer skin with Silka Skin Whitening Lotion. Its non-greasy formulation with SPF 23 protects your skin from harmful effects of UV rays. With continuous use, you'll notice a smoother, fairer and a more youthful glow on your skin. 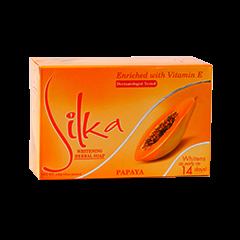 Cleanse, nourish and whiten your skin with Silka Papaya Soap for that younger smoother and a more radiant complexion.